In this post I’ll be featuring a blogger and multiple people’s post, I’ve been debating whether to combine both Friday feature I do, as it’s easier for me let me know what you guys think down below, if you’d like that. 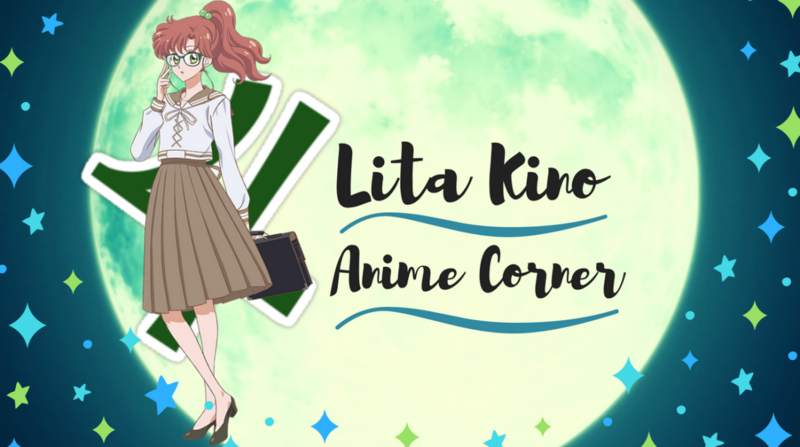 There are many new followers to my blog so as a brief explanation I feature bloggers posts and fellow bloggers every Friday in either a blogger feature or post – a – rama as I want to do my part for the blogging and anime community. Haha let’s get to it then !!! I’ve had so many new followers since 300 somehow reached 369 o.o I don’t know how. Among those I discovered my blogger feature for this week The Anime Ash Tray. Behind the blog Jared has been in the blogging scene since middle of this year and expresses his interests in manga. He also has a youtube channel where he does manga related videos, reviews, discussions. Jared is very enthusiastic and passionate about his manga and I like how informative he is so far in his content he puts out. I like Jared’s unique flare be brings and unique blog name, it’s what made me check out his blog in the first place. I loved his article on his thoughts on the slice of life genre, make sure to go check his post out. So if you enjoy manga a lot Jared’s blog is one to add to your follow list !!! Have any ani bloggers ever given thought on why after a episode they’ve watched or read a post, in the rush make a response. All Hail Haruhi wrote a very true piece on the validation of blogging for ourselves, not getting lost in doing it for others. She relates to her own experience as a writer and millions times of questioning anything you have written, what you could have done better? Haruhi I admire her openness in her posts which is why this post will hit home for ani blogger, make sure to read this reflective piece. Reading posts about food just makes you hungry right? Blue Variance from itadakimasuanime. is one of many participants doing the 12 days of anime all of his posts and blog are about food. I loved the idea of them doing a food edition for 12 days of anime, recollecting favorite food from various anime’s, it’s very amusing and makes me hungry they’re posts. Make sure to follow them through the challenge!!! Two Happy Cats knows how to amuse their readers and their piece on weird anime articles from wiki how will have you feeling amused. Some of them are plain weird how to get anime eyes from being kawaii. If your in need a chuckle check out this post !! Reading this short piece reminded me I’ve only seen one episode of Tamako Market. 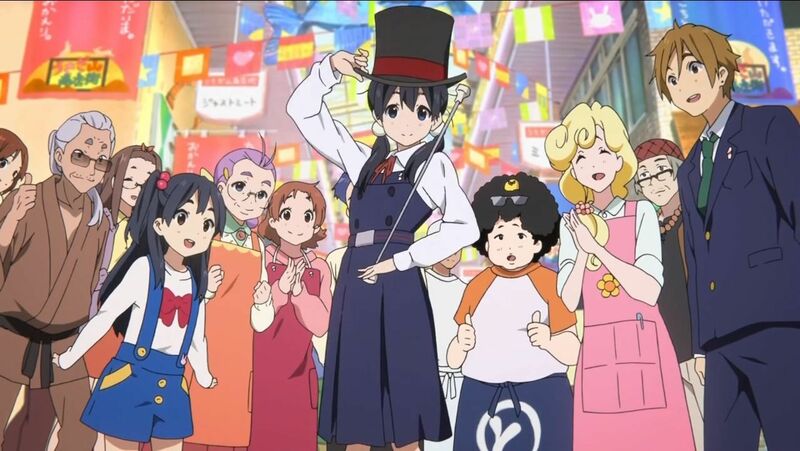 No Brand Blog mentions in their posts of visiting Japan this year and seeing the inspired areas from Tamako Market in real life. They are currently doing the 12 days of anime so make sure to follow their posts from that and see what other places they’ve been too from their Japan trip this year. I’ve mentioned previously with my Friday Features they are varied. A piece by blogger Lovely from Words and Myth describes her fashion inspirations, and their fashion style. Lovely does blog about manga and anime but her other content like this is always refreshing to read as for personal taste I love how celeb asian women dress. This personal piece was a great read and would be of interest to others who like fashion or have similar fashion inspirations like lovely. The genre moe has an up and down scale among anime fans, blogger Deluscar gives a well explained explanation of the meaning of moe. It is referred to as certain anime girl characters doing cute things, that is all I know of the meaning. It was nice to come across this post as quite a fraction of fans, don’t know the meaning of moe. Make sure to check out this post if your unsure or if it would be helpful to someone. Appreciating the small things is important Mage In Barrel introductory post for the 12 days of anime talks of turning their attention for the challenge of the small things. They’ll explore small themes, small characters taking the aspect of no matter how small something is the greater the love for it. I just loved their intro post and idea for the challenge recommend following their 12 days of anime content, very inspiration piece. Hope you all enjoyed this special blogger feature !!! It’s full steam ahead to catch up reading others blog posts, if you want me to read any of your posts blogger friends please link them below. It’s so much easier for me to find, I follow over 100 blogs, very hard to keep up with others posts. Since it’s Christmas next week I’ll be doing another Christmas related Friday feature with featuring Christmas related content is the plan !! I’ll see you guys next Friday Feature !! Your most welcome jarred hope people check you out !!! Thank you for the feature lovely Lita ^^!! Also congratulations on 369 followers, that’s incredible!! The Anime Ashtray is a pretty cool guy. I first heard about him from MissOverthinker. The post about the WikiHow and anime is really funny.